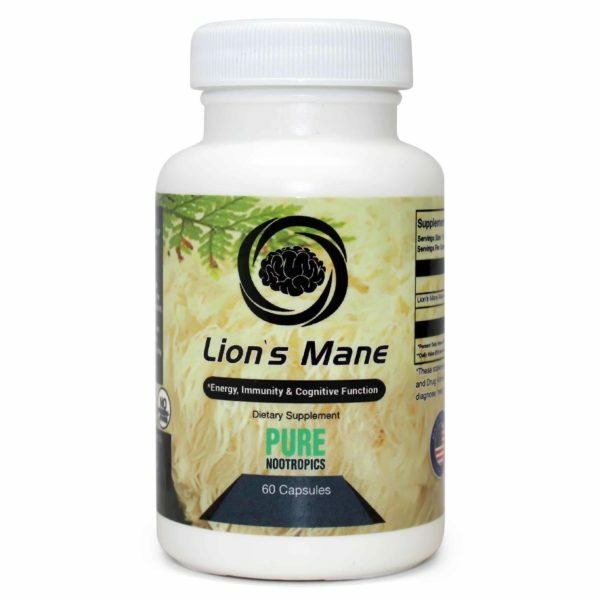 Lion’s mane mushroom extract powder available. 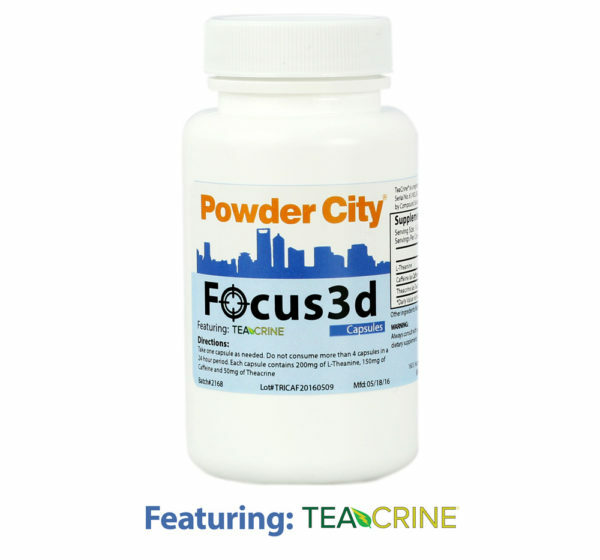 Take 500mg of powder (or 1 capsule) one to two times daily. 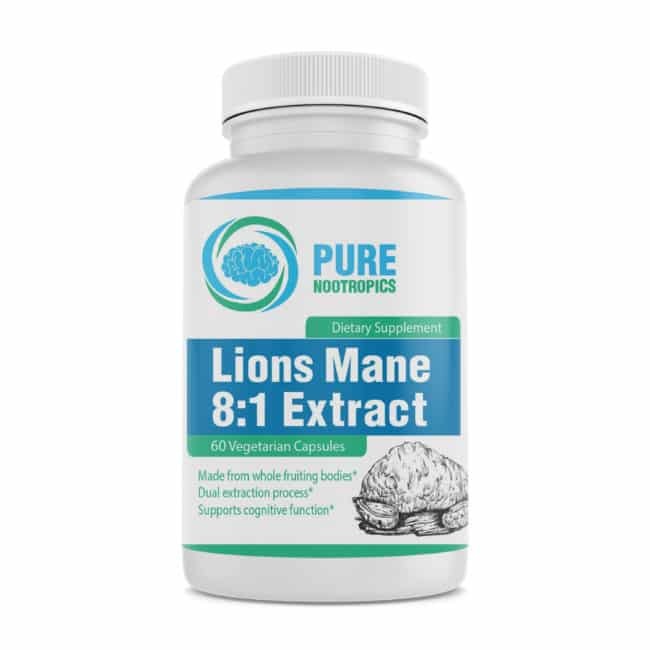 Which Lion’s Mane Extraction Method is Best? This is a hotly debated topic. First, let’s go over lion’s mane powder versus an extract. An extract will always be more potent than the mushroom powder since it’s a concentrated form. The extract strength is either shown as a ratio (such as 8:1) or standardized for a certain percentage of an analyte. These extracts come in two options: a dual water/ethanol extract and a water-only extract. 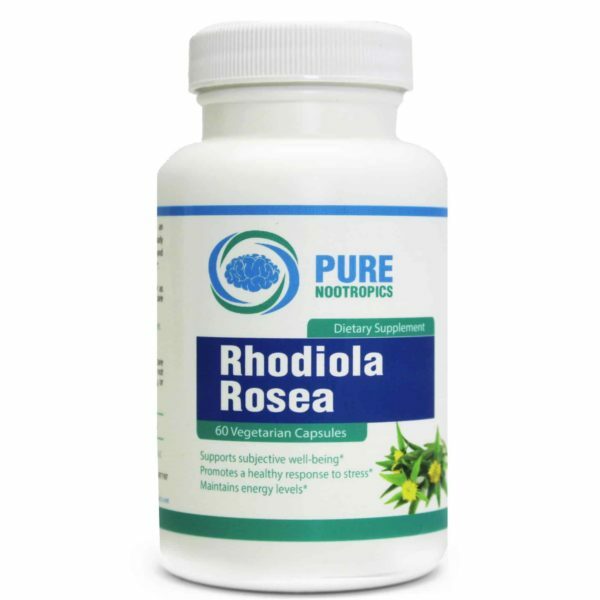 Both extract types use 100% organic whole fruiting bodies. 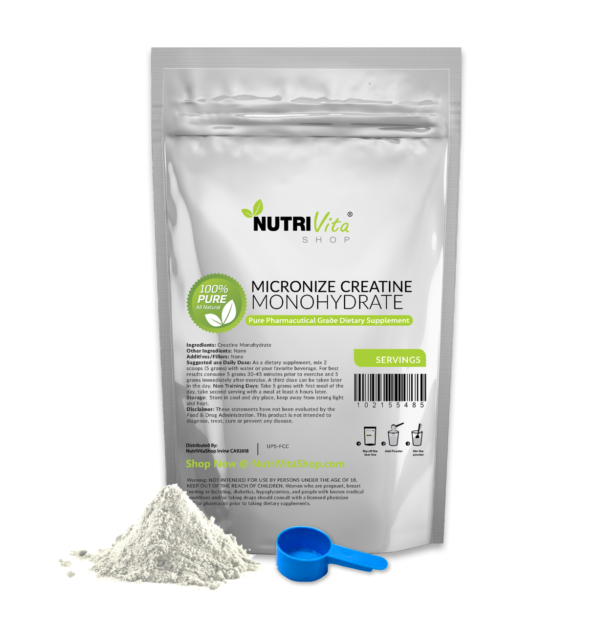 The minimum beta-glucans content is 20% and 25% respectively. For quality determination, it’s more accurate to measure for beta-glucans rather than the broad spectrum which constitutes polysaccharides. Polysaccharide content can be falsely inflated by manufacturers. 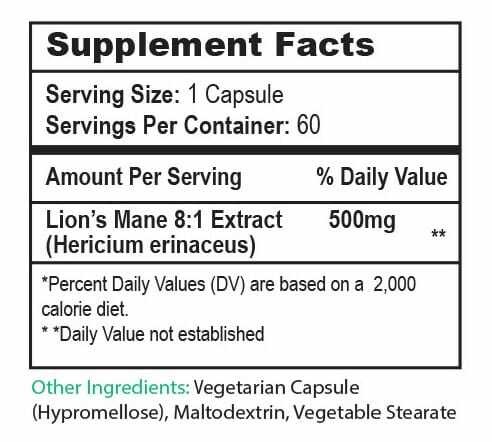 Be wary of buying mycelium-on-grain versions of lion’s mane supplements. A starch test will reveal which sources are grown on mycelium rather than using whole fruiting bodies. As for the which extraction process is best, it’s debatable. Some claim that water-only extraction is best since alcohol attraction may remove some of the active ingredients. If you are of this opinion, then the Nammex extract is for you since this is only water extracted. The 8:1 extract uses both water and alcohol for the extraction process and the has a minimum beta-glucans content of 20%. The Nammex brand only uses water extraction and has a minimum beta-glucans content of 25%. Both versions are certified organic and use whole fruiting bodies. If beta glucans is your watermark for potency, then Nammex seems like a clear winner, especially when it’s at a lower price point. But if you prefer a dual extract or if the Nammex brand doesn’t have the perceived benefits you’re looking for, then try the 8:1 dual extract. 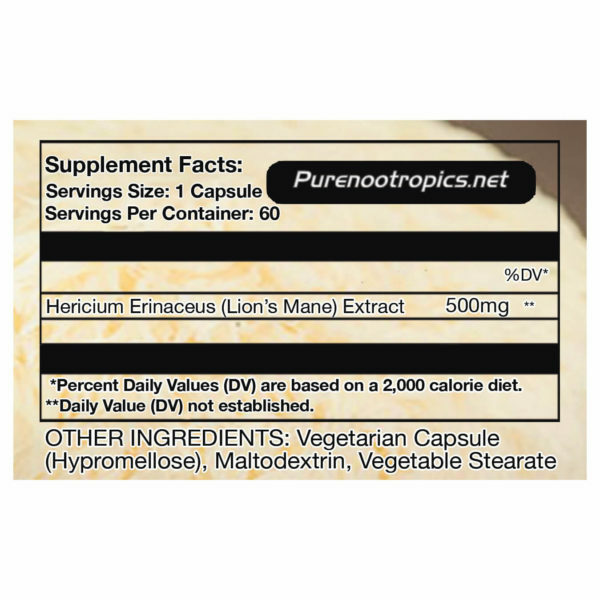 With Lion’s Mane extract, users can experience varied benefits. In this example, one user experienced more benefits from a seemingly inferior extract (also a dual water and ethanol extract). The above graph (Adblock may hide this) shows Google searches over time for ‘lion’s mane mushroom’. 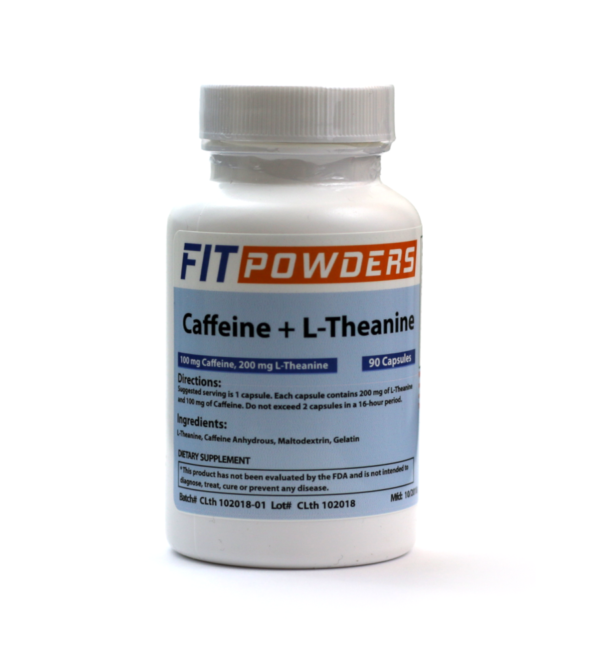 Interest in this supplement is trending upward. With the recent popularity, there are many new vendors selling lion’s mane supplement products. The top non-sponsored result on Amazon scored a ‘C’ on fakespot.com. This was skipped in the review analysis. The next top brands on Amazon’s search which scored an “A” on Fakespot include Swanson, Om, and Real Mushrooms. Customers’ primary concerns centered around extract quality, namely extraction type and starch testing.